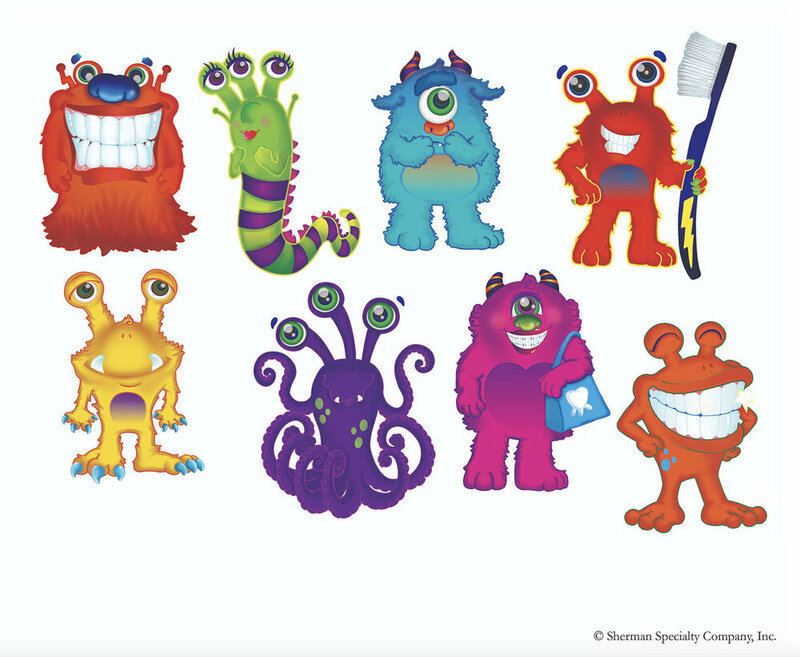 A series of cute and comical monster characters illustrated for a set of goody bags for Sherman Dental. 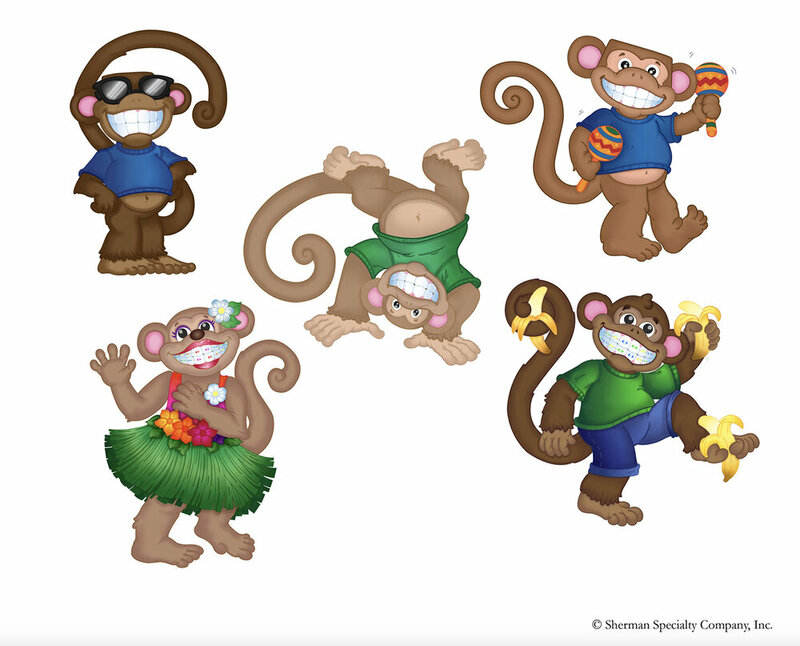 A series of cute and comical monkey characters illustrated for a set of goody bags for Sherman Dental. Design for a cell phone case.